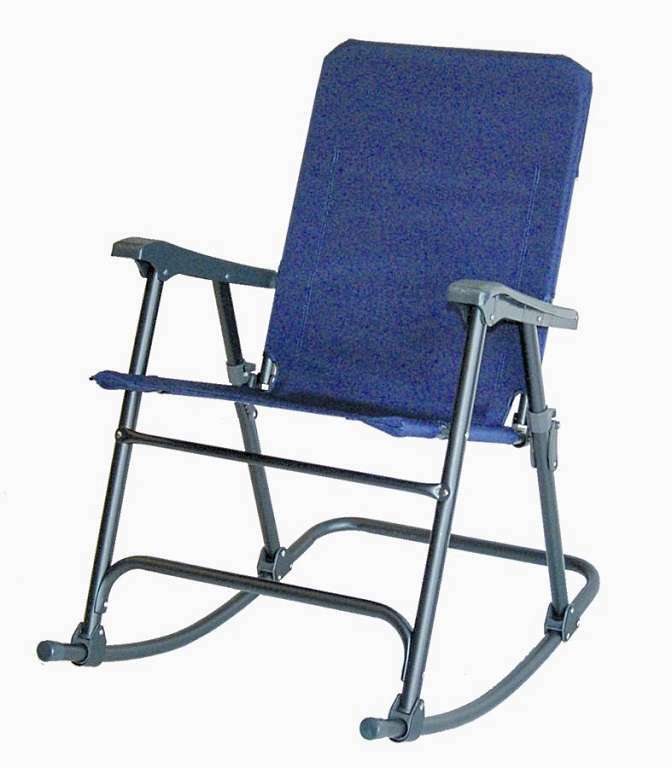 These Folding Rocking Chairs will give hours of campsite comfort. Rock back to the most comfortable position for you. The solid color fabric with complimenting steel frames are strong and long lasting. 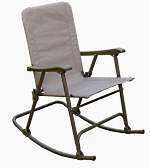 They are designed for comfort by eliminating the cross bar that typically goes across the front of most folding rocking chairs. The Blue folding rocker has a gun-metal gray frame while the Tan rocker has a brown frame. Now comes in Black. Dimensions are 35"H x 23"W x 28"D. Folds to 37.5" x 23" x 5.5". Rated at 250 lbs. capacity.